An annual cross-state bicycle ride for recovering soldiers passed by Meadows Elementary School on Fort Hood. About 50 employers and 450 KISD high school seniors participated Thursday in KISD's senior job fair. In its 20th annual Central Texas Incredible Kids Celebration, the Central Texas Youth Coalition honored 10 outstanding Central Texas students. Learning resources for students, parent resources and quick links. 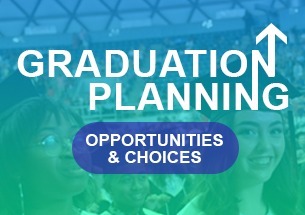 Parents of graduating seniors: this is an update on the graduation ticket allotment announcement we originally posted on December 11, 2018: The ticket limit will be 10 per student at Killeen High School, 9 per student at Harker Heights HS and Ellison HS, and no limit for Shoemaker HS and Early College HS. These ticket limits are required due to fire code restrictions at the Bell County Expo Center. For more information about tickets, please contact your student's respective high school. Notice of Public Election for May 2019 is now posted on the Killeen ISD Board of Trustees webpage. Do you want to drive a School Bus? We're Hiring! Killeen ISD provides training, bonuses, and more... KISD proudly serves the communities of Killeen, Fort Hood, Harker Heights and Nolanville. Do you need a CDL? We can help you with that too. Round Up is an opportunity for parents or guardians to pre-register their Pre-K 3, Pre-K 4, and Kindergarten student for the 2019-2020 school year. Spend three days experimenting engineering, coding, creating, tinkering, crafting and discovering! Registration is required and will open on Wednesday, May 8, 2019. FREE to KISD students in Grades 1-8! Come and learn how to find and apply for scholarship & financial aid, avoid scholarship scams, write effective scholarship and college entrance essays at our Scholarship, Essay Writing, Financial Aid Workshops, hosted by the Killeen ISD Guidance Office. Attention KISD 7th grade Students and Parents! All Killeen ISD 7th grade students and their parents are invited to attend an upcoming College & Career Planning Workshop hosted by the Killeen ISD Guidance Office. KISD is making plans for a retirement banquet (dinner and program) to honor this year’s retirees on the evening of Wednesday, May 22, 2019. To be included in this year's 2019 Retirement Banquet, please ensure that Human Resources receives your notification for Retirement by May 1, 2019. Retirees who submit after May 1, 2019 will be included in next year's 2020 Retirement Banquet. KISD no discrimina contra raza, color, origen nacional, género, incapacidad o edad en sus programas y actividades. La siguiente persona ha sido designada para contestar preguntas relacionadas con la póliza de discriminación: Administrador de Estandartes Profesionales 200 North WS Young Drive, Killeen, TX 76543, 254-336-0000. Der unabhängige Schulbezirk von Killeen (Killeen Independent School District) erlaubt in seimen Progammen und Aktivitäten keine Diskriminierungen basierend auf Rasse, Hautfarbe, nationaler Herkunft, Geschelecht, Behinderung oder Alter. Die folgende Person steht im Fall von Fragen zur Richtlinie der Nicht-Diskriminierung zur Verfügung: Professional Standards Administrator 200 North W S Young Drive, Killeen, TX 76543, 254-336-0000. 킬린 교육구는 그 해당 프로그램 및 활동에 있어서 인종, 피부, 국가, 성별, 신체장애 및 연령등을 기준으로 한 차별을 하지 않는다. 이에 따라, 무차별 정책을 취급하도록 다음과 같은 전문 행정 관리인이 지명되었다: 전문 행정 관리인 200 North W.S. Young Drive, Killeen, TX 76543, 254-336-0000.